Authorities Tuesday released the names of two sheriff’s deputies who opened fire on a documented gang member, fatally wounding him, following a vehicle and foot chase in Vista. Peter Myers, an eight-year member of the San Diego County Sheriff’s Department, and Christopher Villanueva, who has been with the agency for two months, shot 33-year-old Sergio Daniel Weick during a confrontation in a neighborhood near North Melrose Drive and state Route 78 early Thursday afternoon. Weick, a Vista resident, died in a hospital the next evening, the county Medical Examiner’s Office reported. The events that led to the deadly gunfire began when Myers and Villanueva spotted Weick driving a black Lexus near Knapp Drive and North Santa Fe Avenue and recognized him as the subject of an outstanding arrest warrant stemming from a February 2015 SWAT standoff in Vista, Lt. Kenneth Nelson said. The suspect, who had a female passenger riding with him, refused to yield and fled for several miles before crashing the car into a rock berm in the 100 block of Bronze Way shortly after 12:30 p.m., according to Nelson. He then jumped out of the car and ran. 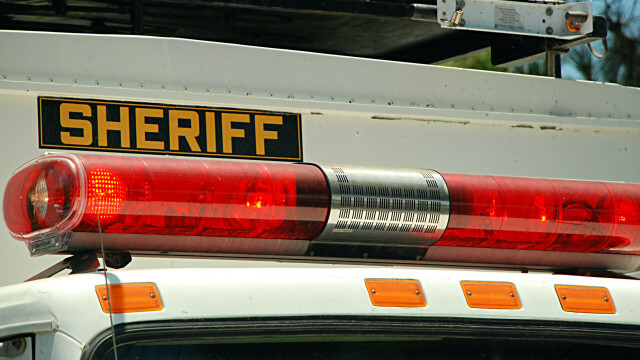 The deputies gave chase down a narrow walkway between two homes, where they opened fire on Weick when he turned and confronted them, the lieutenant said. The lawmen then determined that the suspect had several knives and shotgun shells in his possession, Nelson said. The young woman who had been in the Lexus was taken into custody for questioning. On Monday, detectives and crime-lab personnel completed a search of Weick’s vehicle. Inside the car, they found a sword, a sawed-off shotgun, drug paraphernalia, and more knives and shotgun ammunition, Nelson said.